Have you ever been stuck in a rut? When you’re just blogging away but see no increase in your traffic? It’s an extremely demoralizing experience, even if you have hundreds of thousands of visits. We should know—in the first 60 days of launching Design School (Canva’s blog where you can learn how to design well), we were already getting more than 250,000 visitors. Those are great results, but we were having trouble increasing them. And like most people, what makes us tick is progress. Today, I’m going to share how we eventually broke out of that rut—first by covering the shift in our content strategy, and then the specific tactics we’ve since learned. Now, you might want to jump right to the second section, but that will be a mistake. While you can apply the specific tactics we’ve learned and get immediate gratification, it’s the lessons in the first section that will teach you how to break out of future roadblocks. And trust me, if there’s anything we learned from increasing our visitors to more than 800,000 in the last 60 days, it’s that there are plenty of those down the road. What do you do before you write an article? How do you determine what to write? There are many things you can do to grow a blog’s traffic, but if you have limited time, what should you prioritize? These are just some of the questions we grappled with. But instead of just giving you our answers to those questions, I’m going to walk you through our logic first. The answers will come in part two. Resist the urge to update your blog. Before we started a new content strategy that would eventually increase our traffic by 220%, there was a lull that lasted for 3 weeks. We did not post a single new article during that period. You might think it was easy to do, but it wasn’t. Like most bloggers, we have the urge to update. We couldn’t sit still. Article success is not always common sense. If you try to be the judge of your own content, you’ll realize one thing: You know surprisingly little about why a particular piece of content did well. The good news? There are plenty of awesome tools out there to figure it out. When we realized this, it was no longer all about posting new content. Content should always be there to achieve a particular goal. 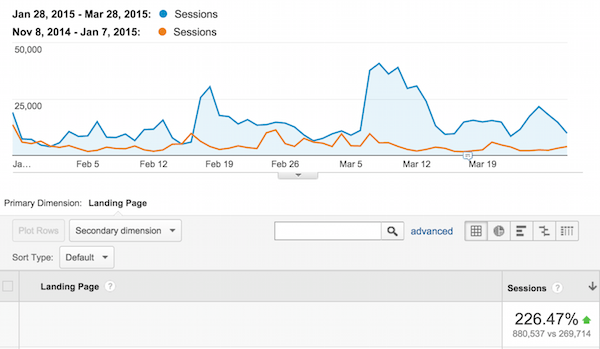 In particular, we started to pay more attention to analytics. We have always had Google Analytics, but we decided to add Heap Analytics a couple of months ago to dive deeper into how each factor affects each other. When Canva created the Design School, we had a pretty ambitious goal in mind: To enable the entire world to learn design. But did we have a goal for every single post we published? Not straight away. Now we do. This is not to say all of our posts have to achieve the same goal. We came up with a variety of goals we’d like to achieve, and every single post we publish since then needs to achieve at least one of them. Content marketing is a marathon. Each blog post we publish is a step forward. That was how our thought process changed. We went from “just do it” to being more deliberate about our blog. We added goals, so that we had something to optimize toward, and we broke down those goals, applying them to every single post we publish. Then we tested. Relentlessly. Here’s what we’ve since learned, broken down into actionable tips you can apply to your own blog. Like many other blogs, we believed keeping our posts short would benefit our readers. You’ve heard it before: “People don’t read online.” Everyone’s busy, right? So we went straight to the point and just gave our reader short, summarized tips. But in our research, we found two interesting studies. The first one, published on Moz by John Doherty, showed a correlation between big content and the number of links an article receives. The second one was by Buzzsumo which showed long form content gets more social shares that short posts. We tried it, and it paid off. The first long form content post we published broke our previous record in traffic and shares. All content we’ve published since then has been at least 2000 words. Stories speak to the emotional psyche, build anticipation, tell you why what you’re about to read is important, and get your point across in an interesting way—much more memorable than just another list post with short, actionable tips. How do we know this? Because some of our most shared blog posts start with a story. This post, for example, received over 70 thousand shares. Read it through, and you’ll see we didn’t just start with a story—we included plenty of other stories in between. Optimize your title, no matter what your gut says. We all know the importance of a great headline in getting attention, but when it comes to blog posts, this focus seems to fade, for some reason. By default, most people have a preference for short titles: “Social Media Made Easy” or “How to Convert More Users”. You might even think longer titles look spammy, or that it doesn’t look good on your blog’s current design, and changing it would mess up the design of hundreds of blog posts in which you used short titles. But our experience is that longer titles are just as effective, if not more so, than shorter ones. To see this in action, check out the length of our titles for blog posts published before January 7, 2015 and the ones published after January 28, 2015. The point is not for you to start writing long headlines. The point is not to be afraid to test longer headlines—or more generally, not to be afraid to test headlines that you’re biased against. After all, if titles are really that important, wouldn’t you do just about anything to accommodate a good one? Rather than just trying to push out more articles to get more traffic (a common mistake), start thinking of your blog as a product. As any successful business owner will tell you, understanding the competitive space is crucial. If you don’t know what content is already out there, how can you become the best in your industry? Here are two tools we used to reverse engineer our competitors. BuzzSumo shows you which pieces of content worked well on your competitor’s website. Here, for example, is a screenshot of Convince & Convert’s top three posts in the last year, according to the number of shares each post received. From looking at this result, we can learn a number of things. First, lists work. If you look at Buzzsumo’s results for the rest of Convince & Convert, you’ll see this pattern plays out nicely. People like knowing exactly what they’re going to learn before diving into the post. Secondly, Convince & Convert readers want to read about process. They want instructional content they can implement themselves. This is the sort of quality that sets the benchmark for your blog. Complete this exercise for your competitors’ websites, and you’ll have an awesome insight into your industry. 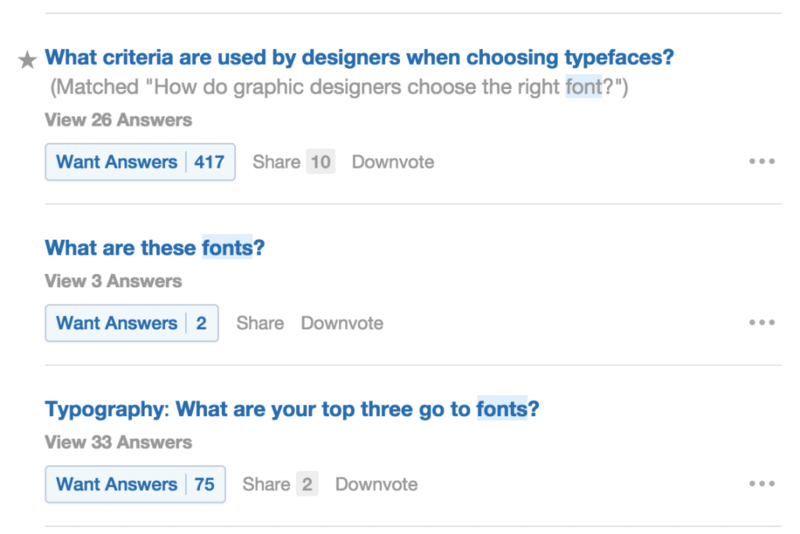 It’s quite easy to see which questions are popular in this topic. How is this different from BuzzSumo? Quora gives you the other side of the puzzle. You get a lot of topic ideas you’ll never find in either Buzzsumo or traditional keywords. Social media strategy is not social profiles. Your post just got 200 likes. Awesome! But is this really social media success? Consider this example. Last year, Copyblogger deleted their Facebook page. Here’s a screenshot taken from Buzzsumo showing their their top three posts. Notice how their post announcing the deletion is their most popular post in the last year, with Facebook being the main driver at 4,500. How could this be? Because readers shared it straight from the blog. Even if you have thousands of followers on Facebook, the reach from your own social profile is limited. 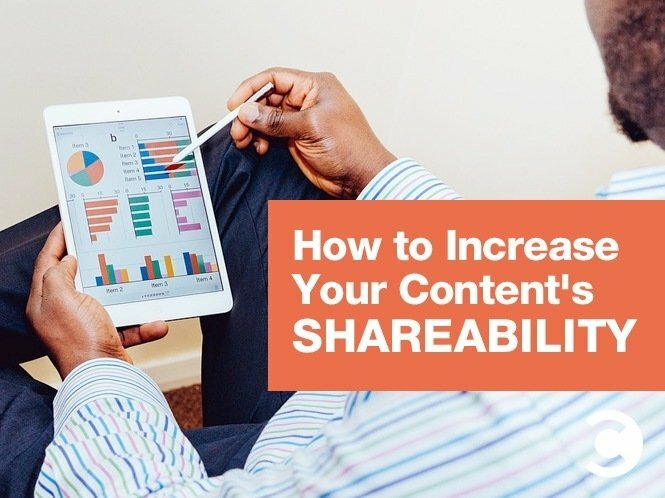 However, if you improve the quality of the content you produce (like we did), you’ll be inviting every reader on your blog to share it on their own page. This is true when we looked at our stats, too. Most of our Facebook traffic didn’t come from our page, which has 70,000+ fans. It came from our readers sharing our content with their friends. In this sense, optimizing your blog (the title, the button placement, the copy, the image, etc.) is more important than optimizing your page or what time you post an update. This realization drove us to prioritize optimizing our blog over our social media outlets. When you write a world-class post, you need to produce content that’s 100% original, right? Well, yes and no. Yes, it needs to be 100% original as a whole, but no, you don’t always need to create—you can curate. This is something we learned by observing our competitors. Take a look at Design School’s posts. In many of them, we curate the awesome work of various designers (and give them due credit, of course) instead of creating original designs. Curation works for two reasons. First, your readers love it because you’re showing them something they are interested in but would never have otherwise found. Second, you can let the people you feature know they’ve been published, and many of them will share your post to their followers. Win-win. Instead of pinning once, many of our readers are pinning multiple images from a single post. So instead of seeing one pin, their followers would see multiple pins linking to the same article, thus increasing the likelihood they’ll click through. This motivated us to dedicate even more resources into creating original graphics. We still curate a lot—and we recommend beginners start with curation—but have since stepped up original designs. In fact, our most pinned image (with more than 700 pins) was created by our team, and many more are rising to the top. That’s how we grew our blog by 226% in 60 days. So what’s the most important lesson here? Stop doing, and start testing. Do you research, find the right tools, and set micro-goals to reach your massive one. If you continue to test with your eye on the goal, you’ll be able to see an improvement, just like we did. Canva is launching Canva For Work, which will help you and your team create original, stunning visuals faster than ever. Register your interest to win cool prizes. Andrianes Pinantoan heads growth marketing at Canva. We are launching Canva For Work that will help you and your team create original stunning visuals faster than ever. Register your interest to win cool prizes.